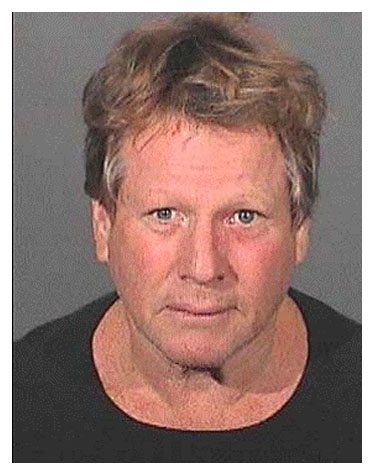 Ryan O'Neal posed for the above Los Angeles County Sheriff's Department mug shot in September 2008 after a probation officer visiting his 24-year-old son Redmond discovered methamphetamine in the actor's bedroom. Redmond, on probation for two prior drug convictions, was also arrested and held along with his 67-year-old father on $10,000 bail. Submitted by teresah66 on Sun, 2011-05-01 11:24. Submitted by BLONDECHICK_FTW on Tue, 2011-04-19 14:16. Submitted by GeorgeDubyaBush on Thu, 2010-09-30 09:43. Submitted by Shelly Shores on Tue, 2010-08-31 04:05. Since his son already had problems with drugs, it's good to see Ryan is such a good example as his father.